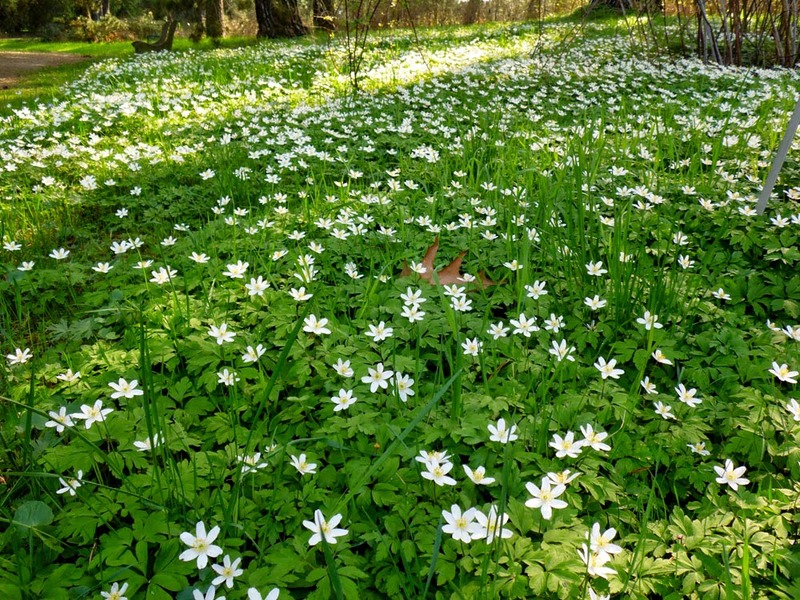 A rich carpeting of nodding, white, wood anemone flowers (Anemone nemorosa) in the forests is a sure sign that Spring has arrived. 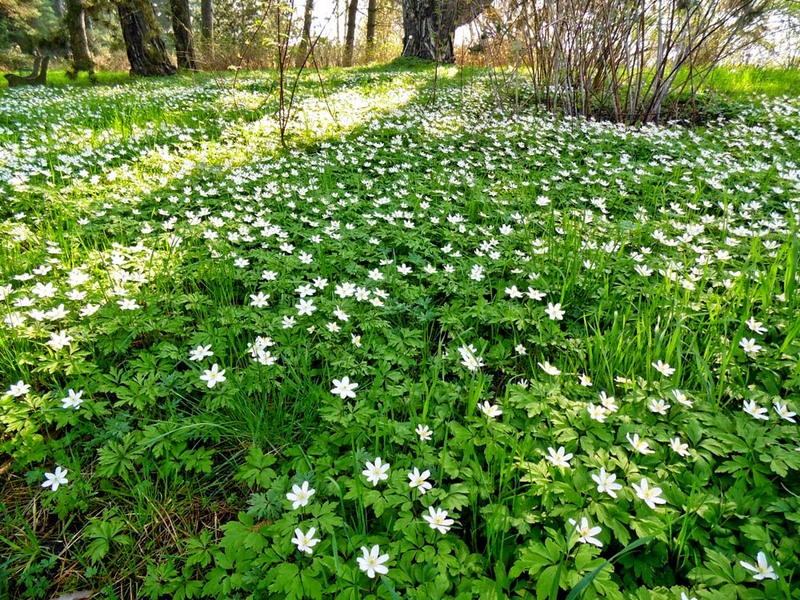 They are also known as wind flowers, and 'anemone', the genus to which wood anemones belong, literally means in Greek 'daughter of the wind'. 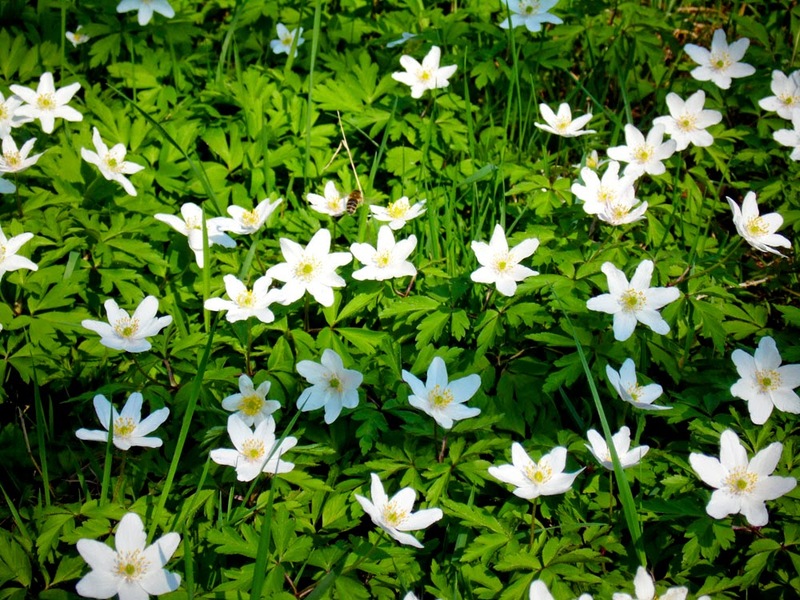 In German, the genus Anemone is called Windröschen, which also means wind flower. 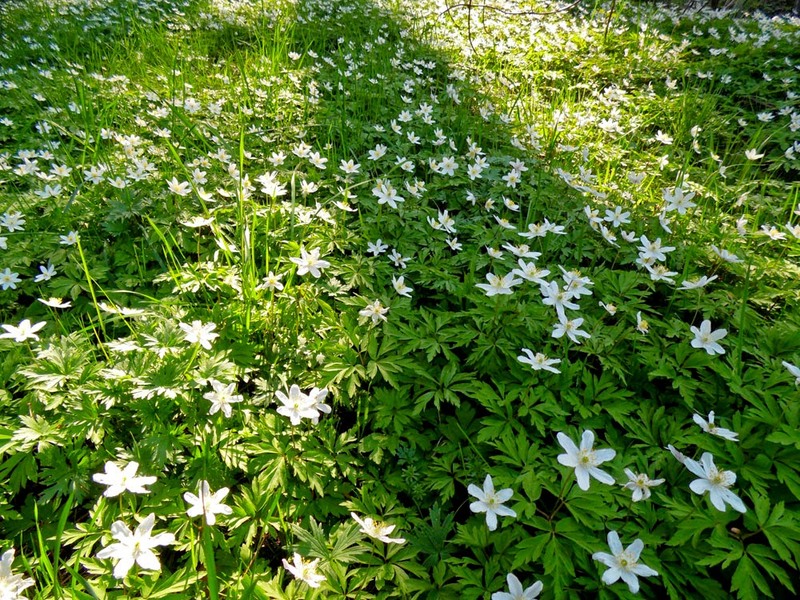 Buschwindröschen is the name for the specific species wood anemone. In Greek mythology, Anemone was the name of a nymph who was loved by Zephyr, the gentle West Wind. Zephyr had abducted and married the nymph Chloris, who was associated in Greek myth with Spring flowers and new growth. Chloris was jealous of Zephry's love for Anemone and so changed her into a flower. This was something she had a habit of doing, also changing Hyacinth, Krocus, and Narcissus into flowers. Anemone was also loved by Zephyr's brother, the brutal North Wind. Whereas Zephyr abandoned her when she became a plant, Boreas always visits her in early Spring, causing her to open her flowers. His love is so rough though that her petals are soon broken off and the flower-heads wither. Alternatively, In Ovid's poem Metamorphosis, the beautiful youth Adonis is chased by a large wild boar during a hunt, which sinks its tusks into his groin and kills him. Cythera (Aphrodite) was in love with the youth, and was also something of a surrogate mother to him. She is grief-stricken when she finds his gored body, and cries out 'there shall be an everlasting token of my grief, and every year an imitation of your death will complete a re-enactment of my mourning. But your blood will be changed into a flower.' And with that, she pours sweet nectar (honey?) onto the pools of blood staining the yellow sand, and within an hour red-petalled anemones sprang forth. 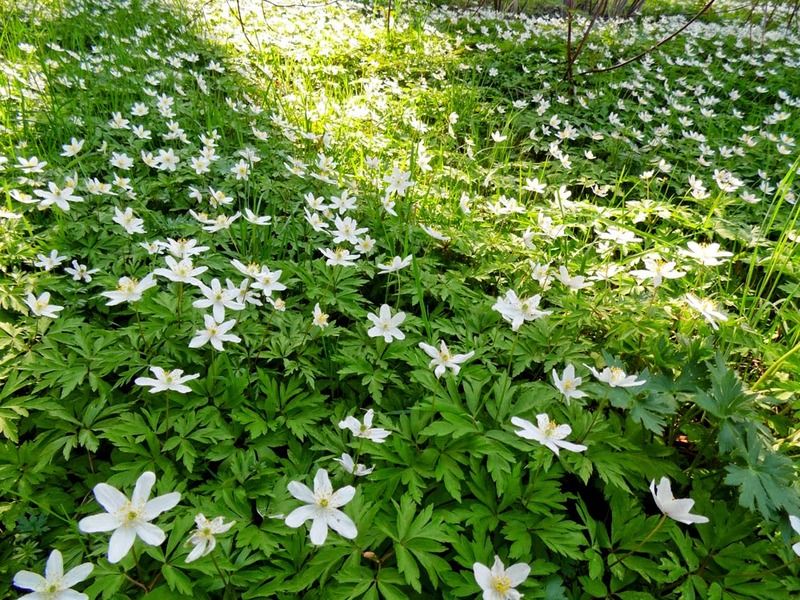 But of course, wood anemones have white petals, though sometimes they can be pale pink, lilac, and in the case of Anemone ranunculoides, yellow. Not blood red. The legend is more likely to refer to the species Anemone coronaria or poppy anemone, which grows in the Mediterranean region. 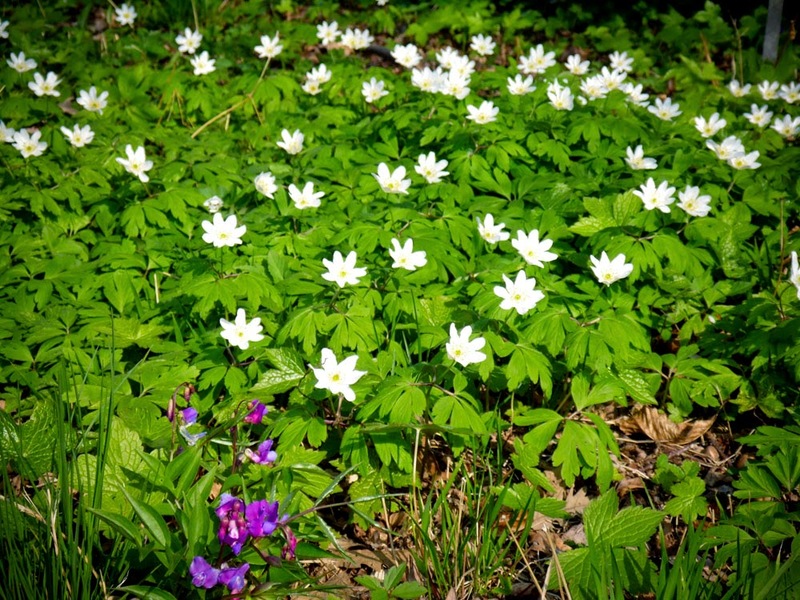 The wood anemones we know are more northern European. Furthermore, the name 'anemone' likely comes from the Arabic name for the poppy anemone, شقائق النعمان (Shaqa'iq An-Nu'man) which literally means the wounds, or pieces, of Nu'man. As to who this Nu'man was, it is a rather convoluted and speculative etymology, so if you really want to know then I refer you to Wikipedia. An unexpected treat: some Anemone ranunculoides in there too! 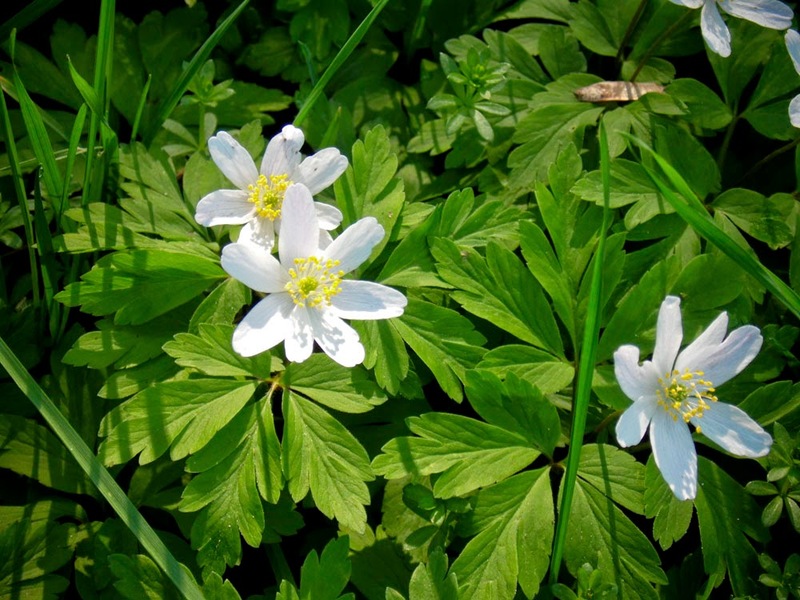 In Germany the wood anemone is also known as die Hexenblume or 'Witch flower'. This is probably because this pretty, unassuming plant is not so nice to play with. All parts of the plant are poisonous and contain a toxin called protoanenomin. 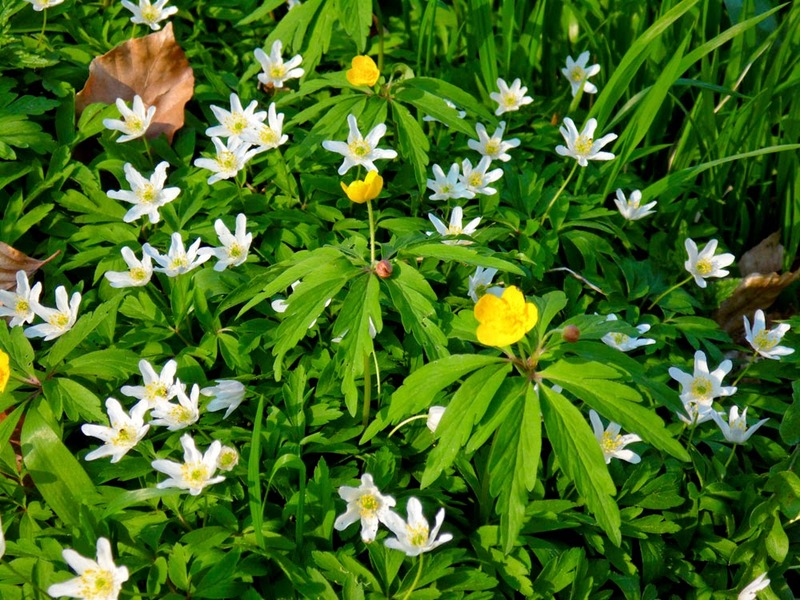 This poison is found in all members of the buttercup family, but is particularly strong in anemones. A wounded plant releases the substance, causing itching, rashes, or blisters if it gets on your skin. Ingesting the plant is even more nasty, and can be fatal; it causes nausea, headaches, dizziness, stomach cramps, paralysis, bloody diarrhoea and vomiting up blood. Do not pick or handle this plant, and wash your hands thoroughly if you accidently do. If you do get any sap on your fingers, don't let them come into contact with your mouth, eyes, nose etc. Do not eat any part of the plant. Do not self-medicate with it, whatever you read in old herbals or on the web. 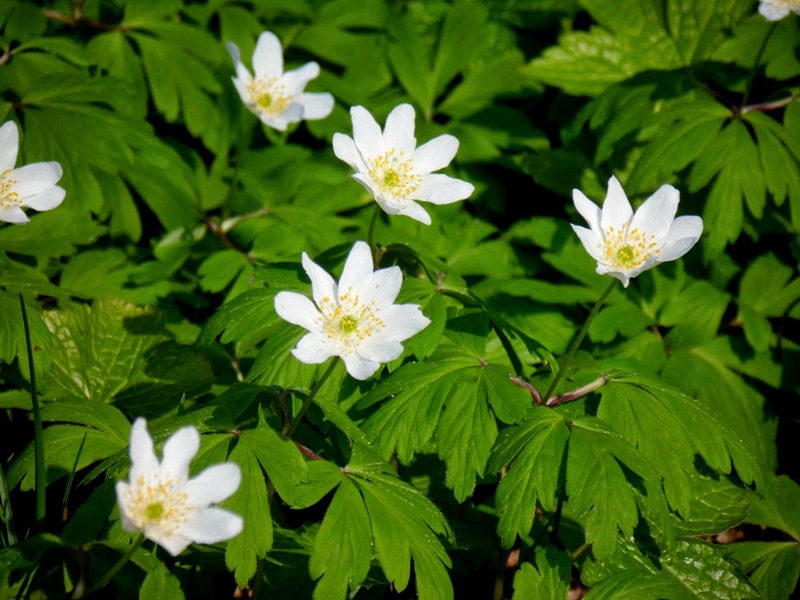 One German name for the plant is Kopfschmerzblume or headache flower; many herbals say that wood anemone is good for migraines, but it is just as likely to give you one! Culpeper even says "being made into an ointment, and the eye-lids anointed therewith, it helps inflammations of the eyes, ..."That's crazy talk! Let me re-iterate, do not let the bruised plant or petals come anywhere near your eyes. 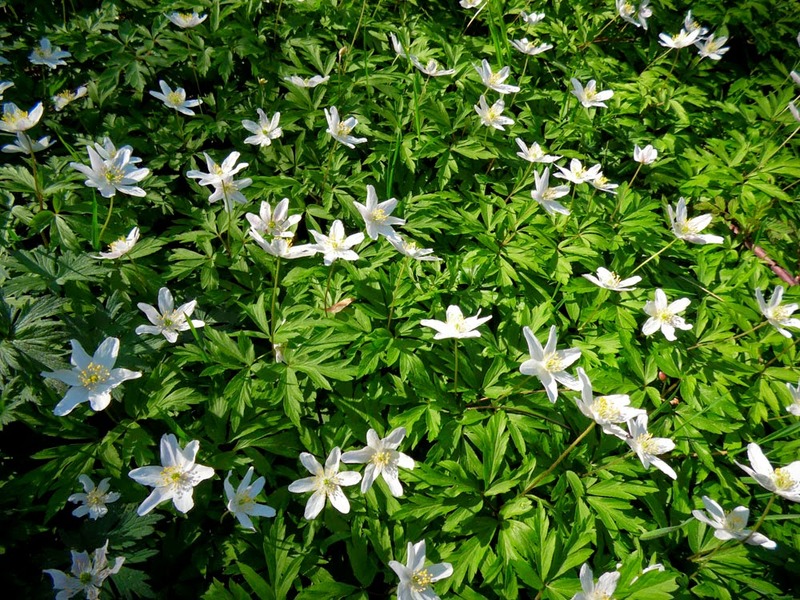 I concede that if you drink a tea made from the dried leaves of wood anemone it won't do you so much harm, as protoanemonin breaks down on prolonged contact with air. But frankly, why would you want to? But don't let me scare you away from the evil old witch flower. Its blooms are a beautiful discovery in the woods of early Spring. Just appreciate them in situ and do not touch!